Yesterday, my friend Leah had a cookie exchange. Talk about fun! She opened her home to a group of women who brought home cooked cookies….yes, real homemade cookies and no variety was repeated. Scandinavian almond cookies, soft fragrant ginger cookies, snicker doodles, chocolate chip, oatmeal in several varieties….yum deluxe. Leah’s home was very happily decorated for Christmas, she had great finger food, and her sweet Lab, Butters, made friends with everyone and graciously snacked on pilfered goodies – crackers, carrots, apple slices, bacon wrapped crackers….it was a hard job but Butters held up his part of the job well. I do hope you all will be able to participate in a cookie exchange. If not, I hope you will be able to bake and share cookies that are part of your celebration traditions and that others will share with you. Blessings and happiness to you all!!! Until the first snow, I will be kvetching about heat. It’s just how I am. Now for the big news: Breakfast is the most important meal of the day! You’ve heard it a thousand zillion times and it is true. Many of us like to loll in bed in the mornings as long as we can before we head off to the daily grind. In order to get a good start on the day and make it until lunch time without junking out, guess what? You need that most important meal of the day! Grab and go does not mean going through a fast food place and grabbing some kind of template full of fat sodium something. Grab and go does mean stopping at the snack machine in your office building and grabbing a bag of chips and a soda. Grab and Go DOES MEAN: grab a something good, yummy, full of protein, low in sugar and sodium meal that you can throw in your backpack or briefbag and eat on the train/bus or at your desk as your computer boots up and your endless emails load. My Number One favorite Grab and Go is Overnight Oats. Fix the night before and let it do its magic while you sleep. In the winter I flavor this with chunks of apple, cinnamon, walnuts, dried cranberries. In the summer – nuttin’ honey except for some fresh chopped peach or assorted berries on top. Make this with Irish/steel cut oats and add honey, maple syrup, stevia, splenda, whatever. Make it with milk, almond milk (sweetened or not), soy milk, cashew milk. Add some chopped walnuts or almonds. Put the ingredients into a tight sealing plastic bowl type container and throw in the fridge. Next day grab it and your spoon. Yeah, it is that easy and that good. Breakfast Number two is a cantelope half, peeled, and set down into one of those tight sealing plastic bowl containers. Fill with low fat low sugar Greek yogurt of your choice. Sprinkle with chia seeds, almonds, walnuts, some berries. Breakfast number three: Yogurt with Granola and Jam. Again, in that wonderful plastic bowl, dump out your favorite flavor of low fat and sugar free Greek yogurt. Take a serving of your favorite granola and dump on top then, drizzle with (if you want to, sugar free) your favorite jam or lemon curd. 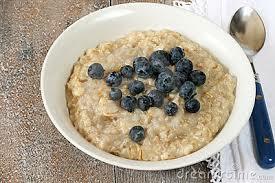 1.Combine all ingredients for the overnight oatmeal in a small plastic container and mix well with a spoon. Cover and let sit in fridge overnight, or for at least four hours prior to serving. 2.Top with a chopped peach and the reserved nuts if you wish. If you decide to microwave, save putting on the fruit until after heating. Summer is here and it is sooooo hot, the average life span of a popsicle is about 15 seconds. Yes, I have air conditioning but I still like to cook as little as I can get by with. Call it a….Vacation away from the kitchen. No children in the house so that makes things simpler. Actually, I took this to a friend’s and her kids loved it. Depending on pasta type or optional ingredients added, this can be vegan or vegetarian or gluten free. Wonderful summer tomatoes and small crisp, sweet cucumbers are also showing up at local markets. I am having to resort to local markets because a line of storms obliterated my garden. And I am envious of you all who have a kitchen garden. Now, for super simple healthy lunch or, dinner if you like. No quantities are given. It’s a “do your thing” recipe. And, it is a keep it simple salad…nothing elaborate or stylish here, just good tastes. The best kind for summer. pasta – fettucine, rotini, elbow, whole grain, gluten free, whatever. Optional – finely chopped basil, freshly grated parmesan, pine nuts, splash of olive oil. Instructions: Cook desired servings of pasta al dente, rinse with cold water and drain. Meanwhile, skin or peel tomatoes and cukes. Very coarsely chop tomatoes and cukes. Add to pasta along with salt, pepper, rice wine vinegar. Toss and let sit about 15 minutes for tomatoes to juice out and flavors to blend. Sprinkle green onion and optional ingredients on top and lightly toss. Serve with some crusty bread if desired. Dig in. NOTE: I peel or skin tomatoes or cukes this time of year because the peels can be tough and bitter. WARNING: This salad will not taste the same if you use those mushy store bought tomatoes or big last season waxed cucumbers. if it’s all you have access to, well, then do your best. Good stuff this – lots of protein, veggies, flavor – easy to make and easier to eat. Good to keep in the fridge for munching, a quick meal, or to a cookout or potluck. You can add nuts (cashews, almonds, macadamia), beans (kidney, white), strips of spinach or kale, chopped fresh parsley…you can grate the carrot instead of cubing it. Wonderfully adaptive salad. There are lots of these salads around. This has an Asian flair to it. A friend served it last week and I stole the recipe. Place the quinoa, water, and salt in a covered pot. Heat on high until it boils, lower the heat to low, and cook for about 15 minutes or until the quinoa is soft and the water absorbed. 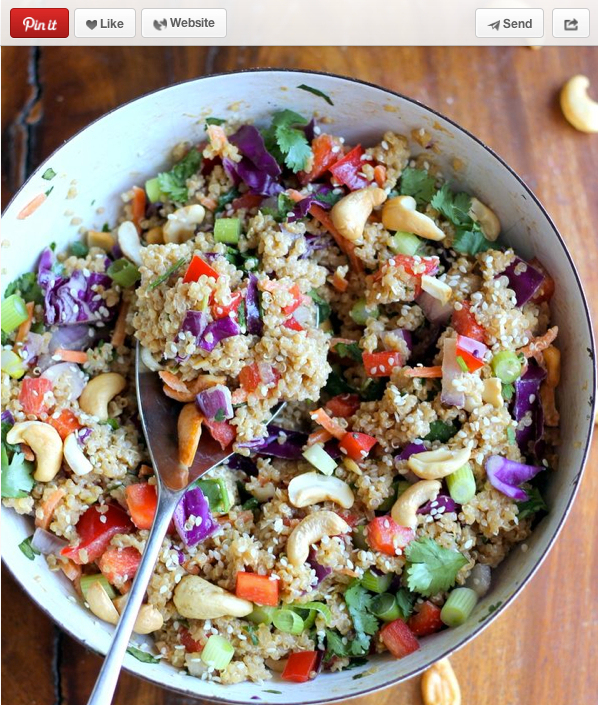 Pour the quinoa into a medium-sized bowl, and mix in the frozen edamame, carrots, peppers, and cabbage. In a small bowl, make the dressing by mixing the sesame oil, rice vinegar, soy sauce, minced ginger, and sesame seeds. Pour the dressing over the quinoa and veggies, and mix thoroughly. Enjoy immediately, or store in a covered container for later. St. Patrick’s day is coming and in a few days, everybody will be wearing green or wanting to be kissed because they’re Irish! Even my Japanese friends wear buttons declaring, “Kiss Me! I’m Irish!”. I’m not much for beer, domestic or imported. 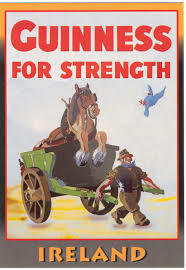 But…I do love Guinness Stout and I like it draft, room temperature. I also enjoy Black and Tans – one half each of Harp and Guinness Stout. And…here is the best of both worlds – Southern US and Ireland. You don’t have to wait until St. Patrick’s Day to serve and enjoy these. 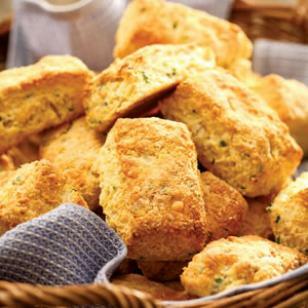 Kiss These Biscuits! They’re Good! Directions: Preheat the oven to 450 degrees, and prepare a sheet pan with a silpat or a sheet of parchment paper or other non-stick liner. In a bowl, combine the flour, salt, and baking powder. Add cheddar cheese and mix together until well blended or, pulse in food processor. Cut in the butter until you have a coarse crumb. Mix in optional chives. Add beer and mix (or pulse) until you have a uniform dough. Transfer the dough to a lightly floured surface and pat into a rectangle. Cut the dough into 8 pieces. Place the dough on the baking sheet and lightly brush with a a little milk. Bake for 10 minutes. I like to brush with some melted butter before serving. NOTE: Any margarine with a high water content or heart smart spread will not work for this recipe. I do suggest using real butter. And because these are for St. Patrick’s day, I will be using imported Irish Butter! When I was 12 years old, due to financial reasons, I was placed into the public school system. It was a shock to my system and sensibilities and it was at the point, I began to hate going to school. I did not adjust well and that adjustment was not helped by being called Four-eyed Midget, The Snot, and Weirdo by my classmates. Many of them knew my family and knew I had been one of those too-good for their own good society snots. I became outcast and except for a couple of teachers and one of the lunch room ladies, without friends. I walked to school alone and walked home alone; groups of kids passed by me, sometimes knocking my books from my arms, knocking me down, and always calling me names. I’d arrive home and go to my room and alternate cry and rant. One day, during recess, I had had enough. One of the bigger boys who was taunting me (I see London, I see France. I see Snotty’s underpants) just plucked my last nerve. I looked up at him and challenged him to a fight. He found this most amusing and pushed me down on the ground. I gathered my wits and then launched my small frame full into him, head butting him in his crotch. We both went down rolling, punching, gauging, me biting, scratching. A crowd had gathered cheering him on when he grabbed me and held me up from the ground. I was flailing and sometimes connecting with a good kick. Suddenly, it became silent. Thank God, I said to myself. It is a teacher. I will be expelled and never have to come to this hell hole again. It was not a teacher. It was Billy Rodriguez. To the bully, this slender boy said, “Son of a whore, put the girl down.” I was thrown down and Billy began to circle the boy. Next thing I knew, the bully was flat with Billy on his chest pounding him. It was a good moment. From that moment, Billy became my protector and his younger sister Therese, my friend as well. Old Southern family meets blended Cuban-Puerto Rican family. They did more than keep me from a serious beating that day. Billy, standing between me and harm with all the arrogance, honor, and bravery of a true hidalgo, helped out others who were being bullied. Billy and Therese also walked home with me that day to explain what had happened so I would not be punished and so my family would know of the bullying I had been subjected to for several months. The next school year, I was placed back in my old school. That did not keep us from continuing to be friends. That afternoon, they walked home with me. I had friends! We talked, laughed and began a walk of friendship that lasted until Billy was killed by a drunken driver and Therese died of uterine cancer a few years ago. Billy’s mother had fled Cuba bringing her two small sons to America. His father had been murdered in the bloodbath there. Therese was the daughter of a Puerto Rican widower. it was a happy marriage and a wonderful blending of cultures. That first Christmas of our friendship, his mother came to call on my family. She brought a large pitcher of a holiday drink: Cocquito. She explained it to us; the ingredients, the tradition of serving it at Christmas, the warning that it was lethal and to be sipped and savored. When I make Ida Ortiz recipe for Cocquito, I honor the memory and lives of these precious people who rescued me and became part of my life. We became three families blended by friendship, food, tradition, love, and honor. Their pork roast and cocquito have become part of our family celebrations just as their memories have blended in with all the other memories. I raise my glass of cocquito to the friends who became family and to their memories that bring me joy. I raise my glass to all of you, friends who have become family. Blessings to you all and may you always be blessed with friends who become family. Place all ingredients in a blender and process for 3 minutes at high speed until frothy. 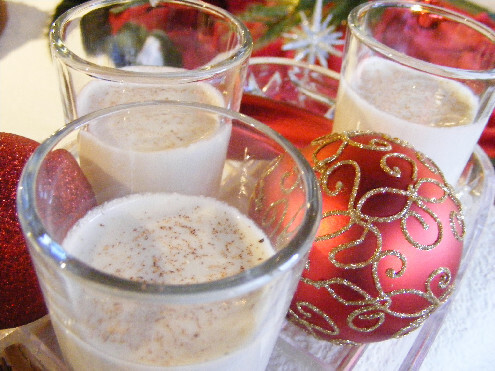 Store in a glass container in the refrigerator and serve chilled, dusted with a little cinnamon. NOTE: Use a rubber spatula to get all the cream of coconut and sweetened condensed milk from the cans. The egg yolks are optional. Some versions use the egg, some do not. It seems to vary from family to family. Festive and cauliflower are not two words usually put together. In this recipe, though, the words work together beautifully. 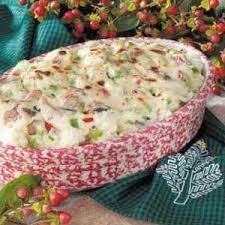 White cauliflower, swiss cheese sauce, and bits of red and green peppers…lovely, yummy, festive and easy. Good dish for company, good for a family meal, good all through the year. Fresh or frozen cauliflower works well. Simply adjust the cooking times of the vegetable so your cauliflower doesn’t turn to mush. If it does, then just mash it all together and serve it anyway. Make up a name for it that sounds special and fun. I think you will like this. My aunt served this years ago during a Christmas when we moved the family Christmas to Colorado during her first year of marriage. It has since become one of our family favorites and is a regular on the holiday menu. NOTE: Reduced fat milk and cheese can be used. It is not recommended for margarine with a high water content to be substituted for butter. Regular margarine can be used. Large bag of frozen, defrosted cauliflower can be used. Break cauliflower into bite sized pieces. Cook 10 minutes and drain. Saute mushrooms and pepper in butter until tender. Blend in flour (make a roux). Slowly add cold milk and blend and cook until thickened. Add pimiento, 2/4 cup of cheese, and salt and stir until cheese is melted. Place one-half of cauliflower into a 2 quart casserole and cover with half of sauce. Add rest of cauliflower and top with remaining sauce and cheese. Bake in 325 oven for 20 – 30 minutes until cheese is melted. Six to eight servings.